Adam Chance passed out sheets of copier paper to the small group assembled on the caliche parking lot at Arturo Galvan Park last Friday evening. On the paper was a round circle with pinpricks marked here and there showing what constellations will be visible from the Laguna Madre this month. As the inquisitive group peered at the sheets of paper in the dimming twilight, Chance encouraged them to hold them straight above their heads. Chance showed the crowd how to use the printed star chart to find different constellations above. The crowd of about a dozen people smiled as they began to connect the figures printed on the star chart with the stars which were only just then beginning to twinkle in the gathering night. 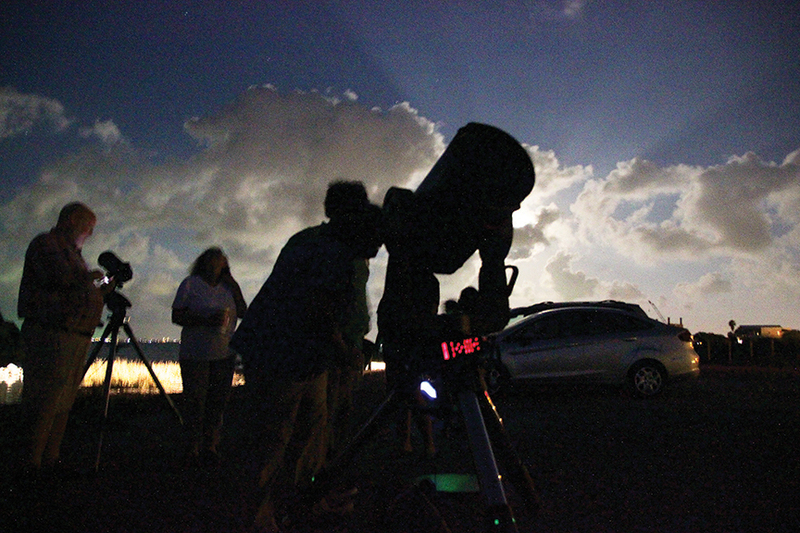 It was the inaugural meeting of the South Padre Island Astronomy Club, organized online via a simple Facebook post. 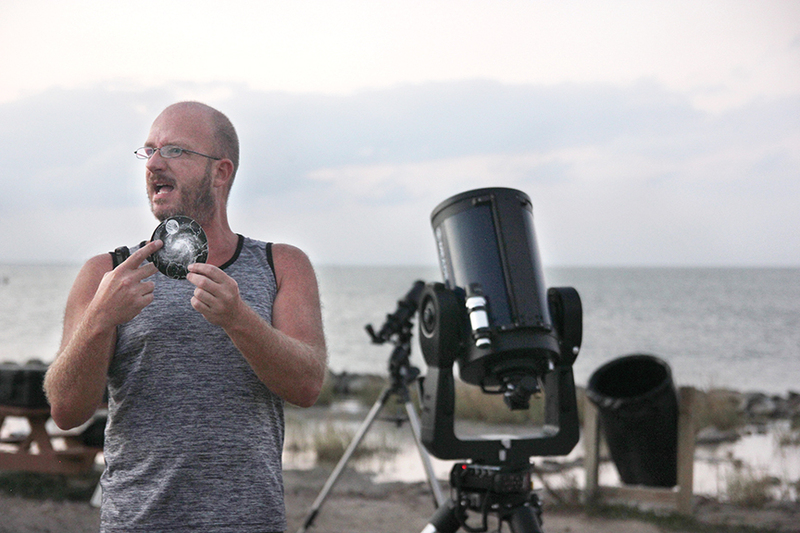 Chance, an amateur astronomer who originally hails from Colorado, put up a query on the social media network to gauge local interest in astronomy. Soon, over 100 people had “liked” his page, and dozens more said they’d be interested in attending a star gazing event. All told, over two dozen people made their way to the quiet, bayside park.